Not much knitting has been done for the last month due to gardening and holidays. Last night I sat down made a list of what I needed to get finished, started, or shelved. 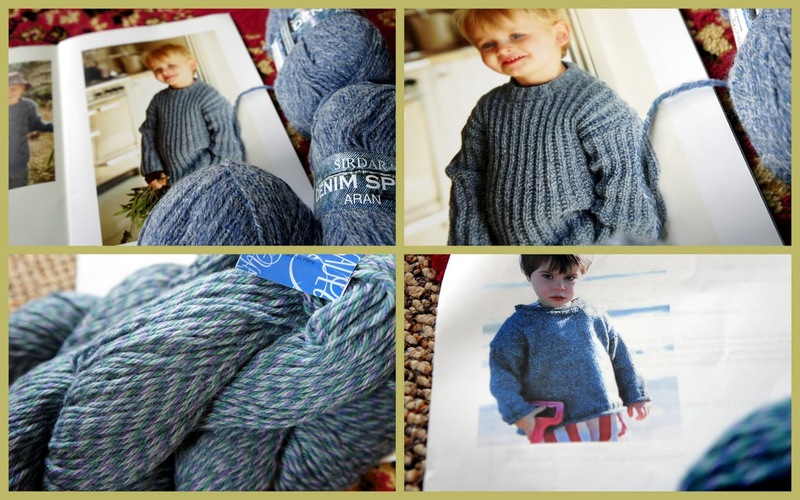 This is a couple of projects I'm planning for Rufus - knitted in Sirdar Denim Sport Aran and Cascade 220 Quatro. I'm a bit unsure of the Cascade as its 100% Peruvian Wool and not superwash, my problem is I only have 300grams so it needs to be something small. I'm not sure my daughter will be happy with something that she can't chuck in the washer and dryer, especially with the new baby due soon, so maybe I will do a rethink. The Design E looks lovely, and it looks soft as well. Pity about the white garment as we have watched that grow over the weeks. Thankfully you can buy more matching yarn. Both designs for Rufus are so boyish (as opposed to babyish) but point taken about the Peruvian wool. Happy knitting and I look forward to seeing one of your projects for real at MCG. I'm pretty much in love with every one of your projects, mostly because you picked out some of the most perfect yarns for each of them! I love that you are confident enough to knit with white, I love that you are tackling yet another huge blanket, and I love that the yarn you picked out for that darling sweater is even better than the one in the pattern photo. WEll you certainly have allot of projects going on right now. I am working on a Christmas Fairy for Friday. I hope to have it done by then so I can share the pattern. Argh to running out of yarn!! so close too. Perhaps you should make yourself somethig with the cascade? would make a lovely snuggly shawl! I love both shades of white. Hopefully you will get the yarn soon.